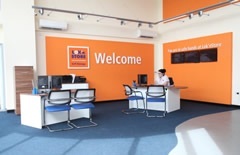 Lok'nStore has self storage centres in many other locations, the closest being Woking. Coming from any direction we are at the end of the M3 (junction 1) / A316 by the Sunbury Cross roundabout. At the Sunbury Cross roundabout, take the A316 exit and we will be on the left opposite the Costco building. Lok’nStore at Sunbury has been providing low cost, secure self storage in the area since 2001. This facility boasts over 800 individual private steel storage units, ranging in many sizes from small 16 sq ft lockers for 8 medium boxes, up to huge 2775 sq ft spaces for pallet storage, or just about anything else that you want to store with us. Lok’nStore has 24hr manned security and full CCTV coverage - but still manages to retain a friendly atmosphere at all times. 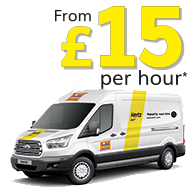 Lok'nStore Sunbury also serves customers from Ashford, Bedfont, Brentford, Egham, Esher, Feltham, Hampton, Hampton Hill, Hanworth, Isleworth, Kingston, Laleham, Littleton, Richmond, Shepperton, Surbiton, Teddington, Twickenham, Walton, West Molesey, Weybridge, and Whitton. Our closest other store to this location is in Woking. What does storage at Lok'nStore Sunbury cost? 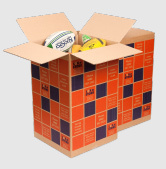 Our prices for self storage are the lowest in the Sunbury area. We know because we check our competitor’s prices regularly, and then set ours below theirs! Try us – we guarantee to beat everyone else. Costs for storage services at Lok’nStore vary depending on the size of storage unit or room that you need, the length of your stay with us, and your choice of payment method. For more details on storage costs at Lok’nStore; call us number or click on the green “Get a price” button. All Lok’nStore prices include VAT.